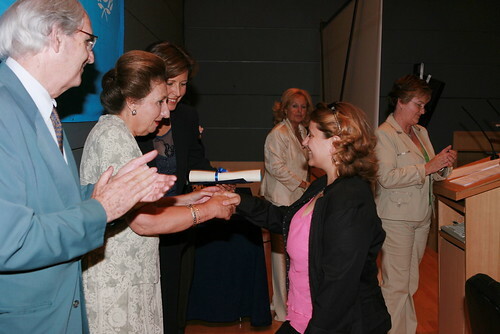 On June 23, 2006, UNICEF-Spanish Committee delivered its Annual Solidarity Awards in the Assembly hall of the Economic and Social Council of Madrid. The ceremony was presided over by the following: Infanta Margarita de Borbón, Duchess of Soria; the Executive Director of UNICEF-Spanish Committee, Jaime Gómez Pineda Goizueta; the President of UNICEF-Spanish Committee, Consuelo Crespo Bofill; the Vice-president of UNICEF-Spanish Committee, Gabriel Guzmán Uribe and Marisa Cancela, Member of the Patronage of the Foundation UNICEF-Spanish Committee. With these awards, UNICEF-Spanish Committee recognizes the companies, entities, foundations and individuals who have selflessly contributed to the different projects or campaigns that the organization holds in the defense of children’s rights in developing countries. 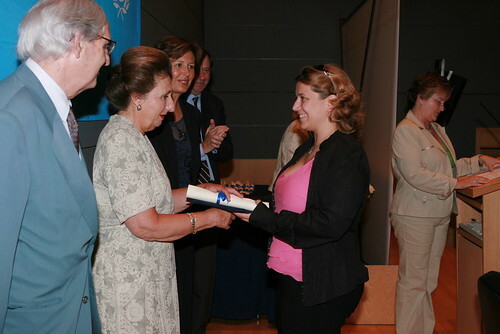 The director of the Queen Sofia Children’s Art Museum of Gabarron Foundation, Rosa María Gabarrón Cabero, received one of those awards, The Medal of recognition from UNICEF.